Kulchas are a type of flat bread eaten mostly in India and Pakistan. Kulcha is mostly eaten with Chole or Chickpea Curry. Stuffed Masala Kulchas can be eaten with Pickles or Thick Yogurt. Well, I like to have them with spicy Mango pickle from the south(Avakkai) and Yogurt. Untill last year ,I had never imagined making Kulchas and Naans at home. We ate them only at Restaurants. But now I have experimented at home . I make delicious Kulchas and Naans with so much ease. To make it healthier I tried Multigrain Masala Kulcha .This was an Instant hit with my family. Add yeast to the warm water and allow it to proof for 10 minutes. Mix all the flours and add salt. Add the yeast mixture and mix well. Add Olive oil and knead to form a soft sticky dough. Place the dough in a greased bowl , cover it with a wet kitchen towel and keep it in a warm place for 40 Minutes. Mix all the above ingredients together except salt. Add salt before you stuff the masala. After 40 Mins, punch the dough and knead again for 2 mins. Divide the dough into equal sized balls , Take one , roll it into a small circle and place 1 to 1.5 Tsp of the filling in the center. Bring the edges together and seal them . 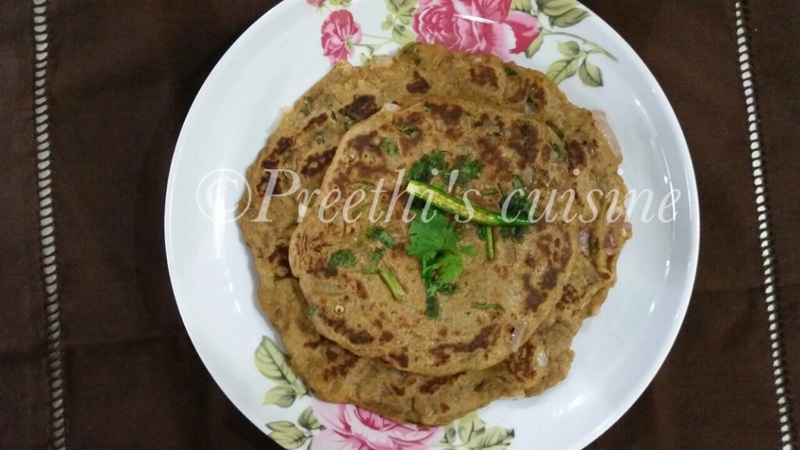 Dust with flour and roll out into 1/2″ thick parathas. Place it on a heated Skillet and cook on both sides by brushing with a little oil. 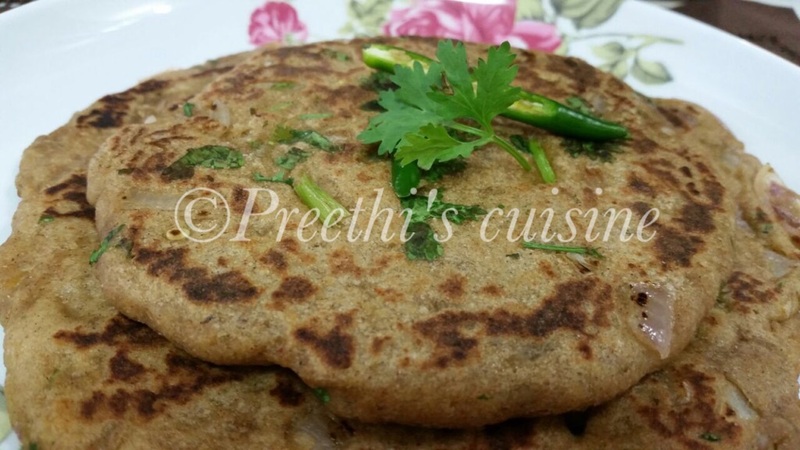 Enjoy Multigrain Masala Kulchas with Chole / Pickle/ Thick Yogurt. Hope you will try this and enjoy as much as I did. Thank you. Do give your feedback once you try this recipe. Would love to hear your feedback.